SCG presented “Green Meeting” innovation at the 2019 ASEAN Foreign Ministers' Retreat organized by Thailand, this year’s ASEAN Chair, in Chiang Mai province. SCG reused eco-friendly products and materials from the previous event at Press Conference of ASEAN Summit 2019 in December 2018, following the circular economy principles to maximize resource efficiency. 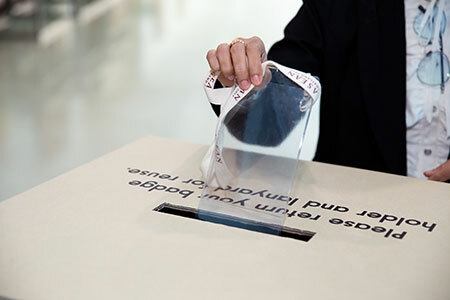 The reused materials were photoshoot backdrop, paper chairs, podium and paper boxes for returning name badges including value-added recycled materials made from SCG production leftovers such as cement tote bags and baskets made from paper-based tapes. This is part of the conservation efforts to raise awareness and encourage participants to shift to a more practical eco-friendly lifestyle. 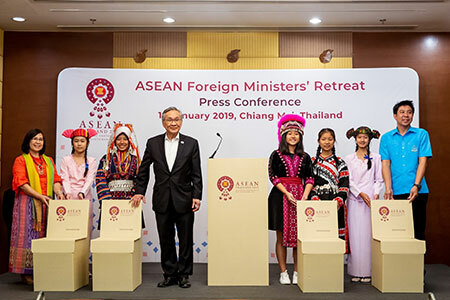 After ASEAN Foreign Ministers' Retreat, Mr. Don Pramudwinai, Minister of Foreign Affairs, donated the photoshoot backdrop, paper chairs and podium to Ban Wieng Fang School in Fang district, Chiang Mai province. These materials will be reused as educational tools and help raise awareness of resource efficiency among students. As for the next step, SCG will continue to focus on creating innovation to meet the needs of stakeholders and further development of sustainability by maximizing the resources according to the circular economy concept and adopting digital technology in the organization. These efforts will help enhance operations of the entire value chain which are significant foundations for building business growth and sustainability of all relevant parties. SCG aims to forge more cooperation to drive ASEAN to achieve sustainable development goals and become a model organization for knowledge transfer on sustainable development with the aim of enhancing Thailand’s industry.